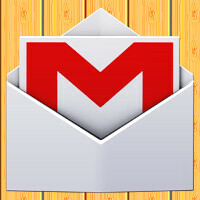 The Android version of Gmail has been updated to include some new features. Following the update, Gmail users can save attachments to the cloud via Google Drive. Why use up your phone's native storage, especially if you have a model without a microSD slot. The new feature will allow you to save memory for more important things. After the update, incoming messages sent to the spam filter, now display the reason why they were placed there. It might not be a big deal, and most of you probably don't care. But if you're curious, and not a cat, you can learn why a certain message was flagged. The update offers improved RTL support. This is for Gmail users who read a language where the words flow from right to left, instead of the left to right that is used in English. Some of the different languages that support this are Hebrew, Arabic and Prussian. Besides the difference in how the words flow, the UI for RTL support is also arranged differently, with the navigation menu and profile picture on the right side of the screen instead of the left side. The update also makes it easier to get into your navigation menu. Swiping from the left edge while reading mail (use the right corner if reading a message in an RTL language) will get you to the side navigation menu. To check to see if the update has arrived to your phone, go to the Google Play Store and from the side menu, click on My Apps. Depending on the device you own, you might find it good to know that the update will help enhance the performance of Gmail for "low memory" Android devices. Why do u need it on the cloud when u already have it on the mail? Isnt it almost the same? It clearly says"native memory" aka internal storage. "Prussian" uses a R2L script? _Persian_, maybe?